We are so excited to kick of the camping season, we’re giving away a FREE 5 DAY rental!! Read details below about how to win a free rental plus awesome gifts from some of our amazing partners! Prizes are non-transferable. No cash redemption or substitution will be allowed. By entering the contest, I agree to sign up to receive newsletters and special offers from Wonderland Expeditions. Wonderland Expeditions and their partners (listed above) may announce winner and tag them on any instagram posts. The campaign will run from May 1 - May 10th 11:59 PM PST, winner will be announced by May 17th on Instagram. Winner will be chosen randomly from those that qualify based on the number of entries. Must be 21 years of age and for the vehicle rental must have a member of their traveling party be 25 years of age or older, possess a valid driver's license and pass a DMV check. Age: Winner must be at least 21 year of age. For the vehicle rental, the winner or a member of the winner’s party must be 25 years of age or older, possess a valid driver's license and pass a DMV check. Dates: Dates subject to availability. Wonderland Expeditions rental offer must be redeemed in 2019. 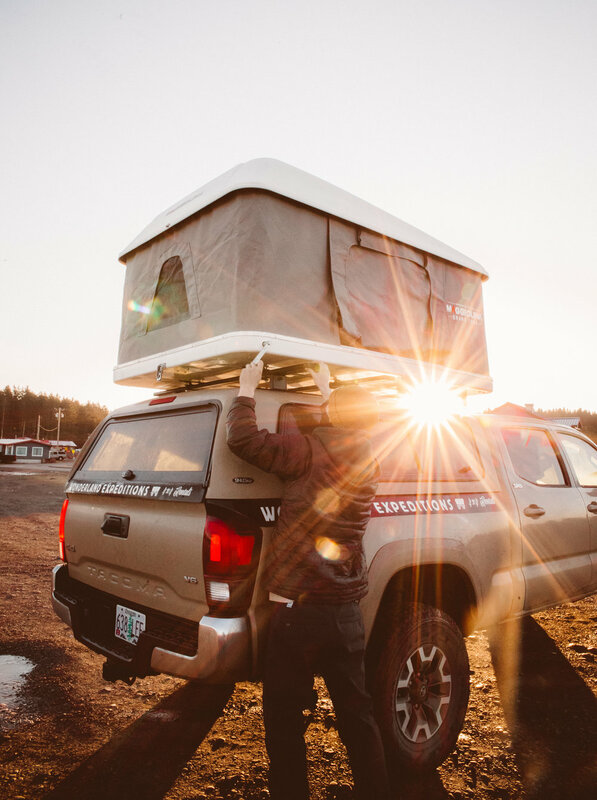 Vehicles: The following vehicles are allowed to be taken for the 5 day rental period: El Burro (4Runner + Rooftop Tent), Bandit (Tacoma + Rooftop Tent), Hank (Ford F150 + Four Wheel Camper), Caballo Blanco (Tundra + Four Wheel Camper), Scout (Off-road Teardrop Trailer). We will contact the winner via Instagram and email. Winner may book vehicle rental by calling Wonderland Expeditions at 971-808-4793 or emailing at info@wonderlandexpeditions.com. Remaining items will be delivered in person at the time of the rental or through standard US mail.